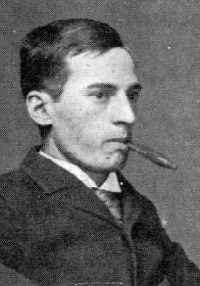 After Paul Morphy (1837-1884), the next great chess player was Harry Nelson Pillsbury (1872-1906). Henry (better known as Harry) Nelson Pillsbury was born on December 5, 1872 in Somerville, Middlesex County, Massachusetts, located just north of Boston. His father, Luther Batchelder Pillsbury (1832-1905), was a teacher at the Prescott Grammar School and later the Assistant Principal of Somerville High School where Harry attended. He also owned a stationary store. He later became a successful dealer in real estate and was in the insurance business. Harry's mother was Mary A. (Leathe) Pillsbury (1838-1888), a teacher and writer. Harry had two older brothers (Edwin and Ernest) and an older sister (May). Harry grew up on Sargent Avenue on the edge of Winter Hill in Somerville. He learned chess on Thanksgiving Day in 1888 at the age of 15. Harry enrolled in the Somerville high school to prepare for Harvard, but the death of his mother on November 20, 1888, forced his withdrawal from school. After the death of his mother, Harry was encouraged by his family to study chess in the hopes that it would ease the loss. In 1889 he was a member of the Somerville Chess and Checker Club. His first chess teacher was Addison Smith, a member of the Boston Chess Club who lived in Somerville. In 1889, Pillsbury left Somerville for Boston and found work in the sales department at Filene's Department Store in Boston. He later became an advertising representative. In 1890 he was a member of the Deschapelles Chess Club in Boston (founded in January, 1889). That club later folded and he joined another Boston chess club. Pillsbury received chess lessons from Jonathan Hall, a noted Boston problemist, and Henry Nathan Stone (1823-1909), a veteran Baltimore expert. In April, 1890, (age 17) Pillsbury competed in his first chess tournament, in the 4th annual Massachusetts Chess Association tournament. In 1891, Pillsbury defeated Constant Ferdinand Burille (1866-1914) of Boston in a match. In 1892, Pillsbury began giving "blindfold" simultaneous exhibitions. This really did not involve a blindfold. Pillsbury usually sat in a separate room away from his opponents and had another person come explain to him the move each opponent made, and then he would respond to that move. As a youth he went to Boston and spent much of his time playing chess. By the end of 1892 he was the best player in Boston and was called the "Boston Wonder." In March-April 1892, Pillsbury defeated John Finan Barry (1873-1940), the strongest player in New England at the time, scoring 5 wins, 4 losses, and 1 draw. In April 1892, Pillsbury won the handicap tournament at the Boston Chess Club (founded in 1857), winning 31 and losing 6. In April, 1892, he played a match against world champion Wilhelm (William) Steinitz in Boston. Steinitz gave Pillsbury pawn and move. Pillsbury won two games and lost one. Steinitz then played 21 members of the Boston Chess Club simultaneously. He won 18, lost 2, and drew 1. His losses were to Pillsbury and C.B. Snow. In November 1892, he defeated E. L. Dresel with 4 wins and 1 loss. The games were played at the Boston Chess Club. In November 1892, Pillsbury played 8 members of the Boston Chess Club blindfolded, winning 7. He then visited the Harvard Chess Club and played 8 blindfold games, winning 3, losing 3, and drawing 2. In December 1892, he played 8 players at the Boston Press Club, winning 7 and losing 1. In 1893, he beat Henry Nathan Stone in a match, winning 5, losing 2, and drawing 2. The match was held in Boston. In April 1893, at the Boston Chess Club, Pillsbury defeated Carl August Walbrodt (1871-1902) with 2 wins and a draw. Walbrodt was a German chess master. Pillsbury then defeated the visiting German master Arnold Schottlaender (1854-1909) with 2 wins and a draw. In May 1893, he was in Philadelphia playing chess as a professional. In Philadelphia, he was a member of the Franklin Chess Club. He gave his first blindfold exhibition in Philadelphia at the Franklin Chess Club, playing 4 games blindfolded, winning three and losing one. Pillsbury was also a checkers expert, being classed among the 20 foremost checkers players in America. He soon added playing checkers to his chess simultaneous and blindfold exhibitions. In September-October, 1893, he played in the first Masters' Tournament in New York. 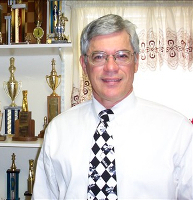 He took 7th place with 7 wins and 6 losses (won by Emanuel Lasker with a perfect 13-0 score). One of his wins was against U.S. Champion Jackson Whipps Showalter (1860-1935) who tied for 3rd place. In late December 1893, Pillsbury, who just turned 21, came in clear first (7 wins, 2 losses) at the "Masters' Manhattan Cafe Chess Tournament" in Manhattan at the New York City Chess Club. He lost to Albert Beauregard Hodges (1861-1944) and Alfred Ettlinger (1854-1919), and won all the rest of his games, defeating Showalter, Albin, the Baird brothers, Halpern, Hanham, and Delmar. Pillsbury was now being called the Morphy of the North. Pillsbury was also a master checkers player at this time, considered one of the best in the country. Pillsbury combined chess and checkers in his simultaneous exhibitions, a feat which was very difficult and rarely attempted. He gave several of this exhibitions in Brooklyn. In early 1894, Pillsbury moved to New York City from Boston and became a member and chess coach at the Brooklyn Chess Club. He played first board for the Brooklyn Chess Club in the club's matches in the Metropolitan League. In March 1894, Pillsbury played board 1 for the Brooklyn CC against Jackson Showalter of the Manhattan CC. Showalter won his game against Pillsbury, but the Brooklyn CC defeated the Manhattan CC across the 12 boards that were played. Brooklyn won 6 games, lost 2, and drew 3. In March-June 1894, Pillsbury reported for the press in the Steinitz-Lasker world championship match. In Montreal, while covering the Steinitz-Lasker match, he gave a 10-board blindfold simultaneous exhibition, winning 9 games and losing 1 game. In June 1894, Pillsbury stopped giving simultaneous blindfold exhibitions because it was giving him insomnia. He had found that for several hours after a blindfold display, his mind was so occupied with unplayed variations that he could not sleep. On August 18, 1894, he took 2nd, behind Jackson Showalter, at the New York State Chess Association Rice Trophy Competition (for the Staats-Zeitung cup), held in Buffalo. Pillsbury represented the Brooklyn Chess Club and scored 3.5 points. Showalter represented the Manhattan Chess Club and scored 4 points. The two other players were Albin, representing the New York Metropolitan Chess Club, and Farnsworth, representing the Buffalo Chess Club. In October-November 1894, Pillsbury played in the second masters chess tournament at the Union Square Hotel, New York, sponsored by the City Chess Club. The event was won by William Steinitz (1st prize was $125), who had not played in a chess tournament since 1883. Pillsbury tied for 5th-6th place and out of the prize money. In 1895, he won the Brooklyn Chess Club championship. In June, 1895, the Brooklyn Chess Club selected him as its representative to the Hastings Chess Congress after raising $300. Pillsbury sailed to England on July 24, 1895. When Pillsbury arrived in Hastings, he refused to stay at a hotel that had any of the other players in the Hastings Chess Congress. He said, "I want to be quiet; I mean to win this tournament." And he did. In August-September, 1895, he played at the Brassery's Institute in Hastings and won the event at the age of 22. He won 15 games, drew 3 and lost 3. After losing to Chigorin in round 1, he won 9 games in a row. At the time, no player had ever won their first major tournament the first time playing it. He finished ahead of reigning world champion Emanuel Lasker, former world champion William Steinitz, and world chess challengers Mikhail Chigorin, Isidor Gunsberg, Siegbert Tarrasch, Carl Schlechter, and Dawid Janowski. First place for Pillsbury was $1,000 (about $26,000 in today's currency). Pillsbury returned to the United States and received a hero's welcome. He was called the "Hero of Hastings" at a famous dinner in his honor at Pouch Gallery in Brooklyn. The menu cards were decorated with diagrams of Pillsbury's most notable games at Hastings. On October 15, 1895, Pillsbury was honored by a reception and banquet at the Pouch mansion. He was presented with a fine gold watch by the mayor of Brooklyn and Mr. Marean, president of the Brooklyn Chess Club. In Milwaukee, Wisconsin, the Milwaukee Chess Club was reorganized and named their new chess club after Pillsbury. A huge national correspondence chess club was formed and named after him. Pillsbury traveled to Russia in December 1895, to play in the St. Petersburg match-tournament, a six-round round-robin tournament. He arrived in St. Petersburg on December 6, 1895, a week before that start of the tournament. During this time in Russia, he may have contracted syphilis from a prostitute just before the tournament, which was scandalous at the time and not very curable. Pillsbury not only had to prepare for each world class opponent, but he had to send back to the USA journalistic reports of the event. These reports were expected in return for financial patronage. At the half way point at St. Petersburg, Pillsbury was the leader, having one more point than Lasker. In the second half of the tournament, it was reported that Pillsbury was suffering from a severe attack of influenza. In December 1895 to January 1896, Pillsbury took 3rd place at St. Petersburg in a four-master match tournament (Lasker, Chigorin, Steinitz, Pillsbury). They played 6 games against each other. Pillsbury was in the lead in the first half of the tournament (Pillsbury had 6.5 points out of 9. Lasker had 5.5 points, Steinitz had 4.5 points, and Chigorin had 1.5 points), but then was affected by severe headaches, sleeplessness and neurosis. He only scored 1.5 points out of 9 in the second half of the tournament. He defeated Lasker twice and Chigorin 3 times, but lost to Steinitz 4 times, with 2 draws. Pillsbury finished in 3rd place with 8 points out of 18. Lasker won the event with 11.5 points. Steinitz had 9.5 points and Chigorin had 7 points. The St. Petersburg event was the first super-elite competition in history. It was a prototype of the world championship match-tournament of 1948. In 1896, before starting another blindfold exhibition, Pillsbury was asked by Dr. H. Threlkeld-Edwards, a surgeon from Bethlehem, Pennsylvania, and civil engineering professor Mansfield Merriman (1848-1925) of Lehigh University, to study a list of 29 words (actually 33 total words). Pillsbury had offered that he could memorize any list of 30 words. After a minute of study, Pillsbury was able to recite all the words in the same order. At the end of a 4 hour blindfold exhibition, he was able to repeat all the words. The next day, he was asked if he remembered all the words, and Pillsbury was able to repeat all the words forwards or backwards. The list of words were: ANTIPHLOGISTINE (medication for relieving inflammation), PERIOSTEUM (membrane that lines the outer surface of bones), TAKADIASTASE (group of enzymes which results from the growth of a fungus — named after Jokichi Takamine), PLASMON (genetic type of cytoplasm or quantum of plasma oscillation), AMBROSIA food or drink of the Greek gods), THRELKELD (from Dr. Threlkeld), STREPTOCOCCUS (bacteria), STAPHYLOCOCCUS (bacteria), MICROCOCCUS (bacteria), PLASMODIUM (microorganism), MISSISSIPPI, FREIHEIT German word for freedom and liberty), PHILADELPHIA, CINCINNATI, ATHLETICS, NO WAR, ETCHENBERG (perhaps a German name or place), AMERICAN, RUSSIAN, PHILOSOPHY, PIET POTGLETER'S ROST (derived from Potgietersrust, a town in South Africa), SALMAGUNDI (salad dish or art center in New York), OOMISILLECOOTSI (Zulu general), BANGMANVATE (settlement in Zimbabwe), SCHLECHTER'S NEK (settlement in Africa that rebelled in the Boer War), MANZINYAMA (lake in South Africa), THEOSOPHY (spiritual movement), CATECHISM (summary of Christian doctrine), and MADJESCOMALOPS (garbled form of matjesrollmops, a Netherlandd dish of herrings and pickles). The list was later used and repeated by Harry Lorayne and Jerry Lucas in their memory books. They showed how this list could be memorized by linking and substituting words. In 1896, Pillsbury was vice president of the Brooklyn Chess Club. In March 1896, Pillsbury played board 1 in the USA vs. Great Britain cable match for the Newnes Trophy, but lost to Blackburne. The USA team won by the score of 4.5 to 3.5. On July 1, 1896, Pillsbury resigned from the Manhattan Chess Club following the Club's refusal to discipline a member who had taken Pillsbury's umbrella. Pillsbury did not return to the Manhattan Chess Club until the summer of 1904. In July-August 1896, Pillsbury shared 3rd place with Siegbert Tarrasch at Nuremberg. First and second place went to Lasker and Maroczy. Pillsbury defeated three of the greatest players in the world in succession, Lasker, Tarrasch, and Chigorin in the 8th, 9th, and 10th round. He also defeated Steinitz in the 19th round. Pillsbury was awarded the brilliancy prize (300 marks) donated by Baron Albert de Rothschild, for his win against Lasker. Pillsbury was in ill health during this tournament, being under medical treatment the whole time. In 1896, Pillsbury played Berthold Englisch in a match in Vienna. The match was drawn after 5 draws. In October 1896, he took 3rd place at Budapest, behind Chigorin and Charousek. In February 1897, Pillsbury played board 1 in the 2nd USA vs Great Britain cable match. He drew his game with Blackburne. Pillsbury won the U.S. Championship in April 1897, defeating Jackson Whipps Showalter. They played at the Hamilton Club in Brooklyn from February 10 to April 4, 1897. The stakes were $1,000 a side. Pillsbury won the match 10 to 8 with 3 games drawn. When Pillsbury won, he refused the title of American Champion, so Showalter remained US Champion. Pillsbury did not want the title. However, public opinion recognized Pillsbury as U.S. champion until his death in 1906. In 1897, Pillsbury played 30 chess players and 6 checkers players simultaneously. He won 27 games of chess, drew 3 games of chess, won 4 games of checkers, drew 1 and lost one game of checkers in this exhibition. Pillsbury said the hardest part of a blindfold performance was not to mix up the games. On June 6, 1897, Pillsbury played 8 games blindfolded simultaneously at the Brooklyn Chess Club, winning 6 and drawing 2. One of his opponents was Frank Marshall, which Pillsbury won. In August 1897, Pillsbury played board 1 for New York against Pennsylvania, winning 6 and drawing 1 game, for the best score in the match. Around 1898, Pillsbury operated inside the automaton called Ajeeb, which was displayed at the Eden Musee in New York. Albert Hodges, a former US chess champion, introduced Pillsbury to Ajeeb. He did this on and off from 1898 to 1904. He was paid $70 a week for his efforts and may have been part owner during those years. In February-April 1898, Pillsbury defeated Showalter again, with 7 wins, 3 losses, and 2 draws. This time it was an official US Championship match. Pillsbury held the U.S. championship title until his death in 1906. In March 1898, Pillsbury played board 1 for the USA in the 3 cable match with Great Britain. He drew his game with Blackburne. In May-June, 1898, Pillsbury tied for 1st place with Tarrasch at Vienna (the Kaiser Jubilee). This tournament was in honor of Emperor Francis Joseph. It was a two-round tourney of 19 players, where every player had to play 37 games. Tarrasch won the play-off with 2 wins, 1 draw, and one loss, earning 6,000 Kronen. Pillsbury's prize was 4,000 Kronen. Pillsbury returned to the United States is August. In August 1898, he moved to Philadelphia and began giving simultaneous blindfold exhibitions more often. He claimed that he solved his insomnia problem when playing blindfold games by concentrating on having a good meal, or playing cards, or other recreation. He also studied various mnemonic techniques for playing blindfold chess and memorizing long lists of difficult words. Pillsbury smoked Havana cigars and sometimes drank alcohol (usually whiskey) while giving his exhibitions. In 1898, Pillsbury met Mary Ellen Bush during one of his exhibitions in Philadelphia and starting courting her. In 1899, Pillsbury defeated Max Judd in a match with 4 wins and 1 loss, held in St. Louis. In March 1899, Pillsbury played board 1 on the USA team against Great Britain in the 4th cable match. He lost to Blackburne. The USA team won the match, 6 to 4. Pillsbury was the only American to lose a game. In May-August 1899, he tied for 2nd place with Maroczy and Janowski at London. Emanuel Lasker won the event. In 1899, during a 12-board blindfold display, Pillsbury suggested a short rest for the players after over 2 hours of play. He then asked the players to write down 30 words on a slip of paper. The words were read to him and he was able to repeat the words in any order, forward or backward. No list of words, it seemed, was too difficult to memorize instantly. After his return from London, he organized a tour of North America. From October 1899 to April 1900, he toured the US, Canada, and Cuba. He gave over 150 exhibitions, mostly blindfold, and travelled over 40,000 miles. On October 7, 1899, Pillsbury began his chess tour at the Franklin Chess Club in Philadelphia. He gave a simultaneous exhibition of 18 boards, winning 15, losing 2, and drawing 1. On February 10, 1900, in Chicago, Pillsbury equalized Zukertort's world record of 16 simultaneous blindfold games (played in 1876). He won 11, lost 1, and drew 4 games in 5 hours and 15 minutes. A few weeks later, he repeated his task of playing 16 simultaneous blindfold games. On March 6, 1900, in New Orleans, he broke his own record and played 17 simultaneous blindfold games. He won 10, lost 2, and drew 5 games in 7 hours and 45 minutes. In March 1900, Pillsbury played board 1 for the USA team in their 5th cable match with Great Britain. He drew with Blackburne. The USA won the match. Scoring 6 to 4, and secured permanent possession of the Newnes Trophy. In April 1900, Pillsbury wrote "The Chess Player's Mind" for The Independent magazine. It described how he played blindfold chess and the thinking of a chess master. On April 28, 1900 Pillsbury set another world record blindfold play of 20 opponents at the Franklin Chess Club in Philadelphia. Pillsbury played White on all boards and the display took 6 hours and 30 minutes to complete. He won 14, lost 1 (to Landreth), and drew 5 games. After the exhibition, he was able to recall all of the moves in all of the games. He helped some of his opponents correct their scoresheets and he furnished all the moves of two players who did not write down the moves. Pillsbury went over everyone's scoresheet, without the aid of a chess board, and correct or filled in missing moves on every scoresheet. In May-June 1900, he took 2nd at Paris (behind Lasker). In July-August 1900, he tied for 1st at Munich with Schlechter and Maroczy. Maroczy dropped out of the tiebreak games due to illness. Pillsbury tied with Schlechter in the play-off match with 1 win, 1 loss, and 2 draws. In 1900, Pillsbury played 16 members of the Columbia College Chess Club blindfolded, winning 14 after 7 hours and 30 minutes. He remembered nearly 1,000 moves without making an error. James Cattell, professor of psychology at Columbia, tested Pillsbury's mental powers and compared them to the average Columbia student. His tests showed that, with the exception of chess, Pillsbury's mental development was not abnormal. On January 17,1901, in Chicago, Pillsbury married Mary Ellen Bush of Monticello, New York (some sources say Philadelphia). She was the daughter of Judge Albert J. Bush of Sullivan County in New York. They had no children. In 1901, Pillsbury tried to negotiate a match with Lasker for the world championship, but nothing ever came of it. In April 1901, he played board 1 for the USA in their 6th cable match with Great Britain. He finally defeated Blackburne. In August, 1901, he took 1st at the American Masters tournament in Buffalo (14th New York State Chess Association). He won 9 games and drew 1, losing no games. In September 1901, Pillsbury announced that he was retiring from chess in 18 months to practice law in Philadelphia. Pillsbury challenged Lasker one final match for the chess championship of the world. In 1901/1902 he again toured the US. In one 16-game blindfold exhibition in Buffalo, he successfully announced a mate in 8 moves against one opponent. Pillsbury often performed the knight's tour blindfolded. In Toledo, he played 12 games of chess and 4 games of checkers blindfolded, while simultaneously playing a duplicate whist card game. He could take out a shuffled deck of cards, look at it once, and remember every card in order. In January-March 1902, he took 2nd at Monte Carlo, 1/4th point behind Maroczy. Initial games were 1/4th point when drawn. In 1902, Pillsbury played Board 1 for the USA team in the 7th cable match with Great Britain. He drew against Thomas Lawrence. Pillsbury was in London at the time and played his game over-the-board instead of by cable. In March-May, 1902, he toured Great Britain, giving exhibitions. In July-August 1902, he took 2nd at Hanover, behind Janowski. Pillsbury won 11 games and lost 5 games. On August 2, 1902 in Hanover (a rest day from the main tournament), Pillsbury broke a new world record by playing 21 chess players blindfolded simultaneously. He only won 3, drew 11, and lost 7, but against very strong opposition after 11 hours and 30 minutes. All players were expert (18 players) or master strength (3 players, including future GM Ossip Bernstein). His opposition is considered to be the strongest ever encountered by a blindfold simultaneous player. In December 1902, in Moscow, Pillsbury again broke the world record and played 22 players blindfolded simultaneously. The exhibition lasted 10 hours. He won 17, lost 1, and drew 4. According to Alexander Alekhine, one of the Moscow players was Alexei Alekhine, his older brother. Alexei supposedly drew with Pillsbury, but there is no evidence that Pillsbury played either Alekhine. At the time, Alexander Alekhine, who watched the exhibition, was 10 year old, and the blindfold exhibition motivated Alekhine to also try to play blindfold simultaneous chess. In February-March, 1903, he took 3rd at Monte Carlo, behind Tarrasch and Maroczy. In April 1903, he played Board 1 for the USA in the 8th cable match with Great Britain. He drew with Thomas Lawrence. The USA team won, scoring 5.5 to 4.5. In May 1903, he went to Vienna to take part in a King's Gambit Accepted tournament. He took 4th place behind Chigorin, Marshall, and Marco. At the close of the tournament in Vienna, he was medically treated in Germany by Dr. Tarrasch, who applied hypnotic treatment. But was not sure that he succeeded. In late 1903 he went on his final American chess tour. In Philadelphia, one of his organizers, William Ruth, sat with Pillsbury at a railroad crossing. Ruth wrote down a fairly long list of passing boxcar numbers. Pillsbury was able to memorize all the numbers in the correct order. After his final tour, he decided to settle down in Philadelphia. In January 1904, Pillsbury played 16 members of the New York Athletic Club blindfolded. There were at least 300 spectators at the event. He won 10 and drew 6. On 1904, he visited the Mechanics' Institute Chess Club in San Francisco. He played 16 chess games blindfolded while playing 4 games of checkers and 6 hands of whist. He won all his games of chess and checkers except for 2 chess games. His last tournament was Cambridge Springs, in April-May, 1904 (won by Marshall). He took 9th place, but defeated Lasker. This was the first time that Pillsbury was not among the prize winners. During the tournament he suffered from insomnia and restlessness. He was in poor health and close friends tried to get him to withdraw because of his health. After Cambridge Springs, he played only 2 more serious games in the annual matches between the Franklin and Manhattan Chess Clubs. He had given up blindfold chess and was arranging for an exhibition of chess and checkers at the Boston Chess Club. During the summer months of 1904, he vacationed in Atlantic City to regain his physical strength back. He returned to Philadelphia to recuperate and rest. In September 1904, the 7th American Chess Congress Committee questioned Pillsbury's right to the U.S. chess championship title. The committee announced that the next U.S. chess champion would be the winner of the masters tournament at St. Louis. On December 11, 1904, Pillsbury began a chess column in the Philadelphia Inquirer. At the time, Pillsbury was very poor and needed financial assistance and a job. He was no longer giving chess tours across the United States. On March 1, 1905, he was taken to a hospital and attempted to throw himself out the window. On March 7, 1905, he suffered a stroke. On March 27, 1905 he was operated on at the Presbyterian Hospital in Philadelphia. A few days later, while in a high fever, he tried to jump out of a 4th story hospital window. On May 13, 1905, he gave a simultaneous exhibition against the strongest players in Boston. He won 16, lost 5, and drew 5. Pillsbury played his final serious game on May 31, 1905 during the annual Franklin and Manhattan chess club match. On November 8, 1905 he and his wife went to Bermuda in an attempt to improve his failing health. He did not play any chess and devoted his time to outdoor life. While in Bermuda, he suffered his 2nd stroke. He described his pains as similar to those he suffered in Nuremberg in 1896. He returned home to Philadelphia in January, 1906 and was seen by Dr. Charles K. Mills, a noted specialist on the subject of paresis. He told the public that Pillsbury had a breakdown due to irregularity in time of eating and sleeping, neglect of exercise, and excessive smoking. On January 24, 1906 he had gone to Pasadena for special medical treatment. In March 1906, he had another stroke which caused partial paralysis. In May 1906, he wrote to the American Chess Bulletin, saying he "was very much alive." He died a month later. Pillsbury died of general paresis (syphilis) at 4 a.m. on June 17, 1906 at Frankford Hospital (Friends Asylum) in Frankford (now a borough of Philadelphia), Pennsylvania at the age of 33. On June 18, 1906, his obituary appeared in the New York Times. It stated that he died from an "illness contracted through overexertion of his memory cells." On June 19, 1906, funeral services for Harry Nelson Pillsbury were held at the home of his physician brother, Dr. E. D. Pillsbury, in West Sommerville. Besides the family and numerous friends and relatives, there were present a number of chess followers, including several members of the Boston Chess Club, of which Pillsbury was an honorary member. Pillsbury is buried in their family plot in Laurel Hill Cemetery, Reading, Massachusetts. The inscription on his grave says Harry Nelson Pillsbury, Dec 5 1872 — June 17 1906, U. S. Chess Champion 1897 — 1906, Winner of the 1895 Hastings Tournament. "Pillsbury, the American chess champion, died last Sunday (June 17, 1906). The cause of his premature departure was a stroke of apoplexy. The mechanism of his brain had become defective. With the examples of Morphy and Steinitz in their minds, many writers have commented on the tendency of famous chess players to insanity. A general belief has consequently been engendered that chess playing, or any very intensive purely mental occupation disorganizes the intellect. But this belief is entirely unfounded. It is in the highest degree mischievous. Physiologically it is clear why the man who cares most for the development of his physique and the senses should suffer. He puts a load on the heart that the brain is not allowed to share. Thus both organs deteriorate, the one from overexertion, the other one from lack of use. The man whose critical faculty is developed will never strain any more of his organs beyond the power of endurance. The uncritical mind, in the quest for pleasure, often oversteps this limit. Happiness is entirely a state of mind. Chess has an important function to fulfill. Opportunities for enjoying works of art or for studying scientific books are afforded in plenty. But the spirit of fight — calling into being so many faculties of man — in modern society rarely finds occasion for manifestation and practice. The ancient game of chess fills out this gap. While the two armies of 16 pieces each contend with each other in mimic warfare according to acknowledged rules, the brain of the player is in constant agitation. Here he must foresee the result of a hostile maneuver, analyzing its outcome sharply to find out whether it is time for defense or whether he should make his opponent press him still harder before he parries. Chess requires courage thus to expose one's self to the certainty of danger, yet his strategic convictions tell him that the offered sacrifice is unsound, that if he only finds the right replies he should win. But he anxiously asks himself whether he is not mistaken. His moral courage struggles in him. The struggle on the board has a counterpoint in the soul of the man. A long series of such experiences must develop in the chess player certain portions of his mind that, unless circumstances are very favorable, are usually dwarfed. A belief in the logic of events, not alone in the chessboard, must take hold of him. For these and many other reasons it cannot be doubted that the brain considerably gains in force by the practice of chess play. And therefore, according to our thesis, we must conclude that in modern society the ideal man would be a chess player. But here I hear some interpose, What about Morphy, Steinitz, and Pillsbury, the three greatest American chess players, having fallen victims to insanity? Does not observation disprove your theory? So they may ask. My reply is a decided No! Morphy did not go insane on account of chess. During the last 30 years of his life he never touched the pieces, nor did he show any signs of insanity except perhaps 10 years before his death. Is it likely that the troubles should have arisen from chess playing, which he by no means played excessively, or is it not rather more probable that something else, such as war unfavorable to his side, or another ailment somehow contracted, was the cause? Steinitz went insane in spite of chess. Modern science has located the various mental faculties in the brain, and so it has been found that Steinitz was born with a defect in his motional brain cells. The part of the brain where chesswork was performed was, on the contrary, strong and sound. The blood supply of the weaker part became irregular, and there was a hemorrhage, a catastrophe, that would have occurred much earlier (Steinitz was 62 years old when he died) had he not strengthened his brain by the use of his other faculties. Pillsbury's case is different. He died from an illness, contracted through overexertion of his memory cells. But chess has only very indirectly to do with that. Memory has the least value for a chess player who in its stead has to make use of invention, original thinking, and logic. Only in blindfold chess does memory find a place. Unfortunately Pillsbury made it his business to give blindfolded performances. The chess clubs made him play as many games as he possible could stand. During the trying hours of his exhibitions, in which he often gave also feats of memory and played checkers and whist, Pillsbury would smoke and partake of whisky. Thus little by little his health was undermined. Many friends, seeing him lose in strength, warned him of the peril. But the chess world is wretchedly organized, and much as it owed to Pillsbury it never allowed him a living except on condition that he gave his exhibitions. So the vicious circle was complete, and now we stand mourning at his grave. In life scores, Pillsbury beat Schlechter (+8=9-2), Janowski (+6=2-4), and Maroczy (+4=7-3). He was even with Lasker (+5=4-5), Steinitz (+5=3-5), and Tarrasch (+5=2-5). He lost to Chigorin (+7=6-8) and Blackburne (+3=4-5). He played over a thousand blindfold games around the world in more than 70 displays. In the early part of the 20th century, Dr. Elmer Southard (1876-1920), Professor of Psychology at Harvard University, and a strong chess player himself, studied Pillsbury's brain. Dr. Southard studied the brain of Pillsbury in an attempt to decide whether a genius for chess tends to deteriorate the mind. He found no difference between a chess player's brain and anyone else's brain. In 1986, Pillsbury was inducted in the U.S. Chess Hall of Fame.